I recently had a conversation with one of our customers and he questioned the difference in purchasing Silver Morgan and Peace Dollars versus purchasing Silver Bullion. 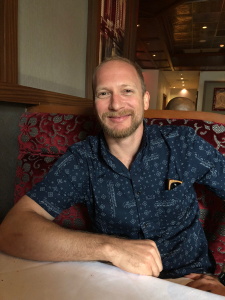 After having a quality conversation discussing the differences and advantages for each, I realized that it would make a great blog post for those who are contemplating the same thing. What is a Morgan and Peace Dollar? 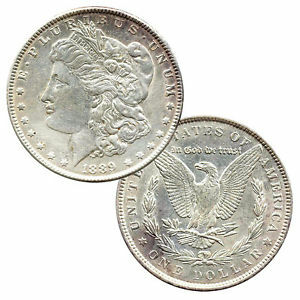 The Morgan dollar is a United States Issued Silver Dollar Minted from 1878 to 1904, and again in 1921. 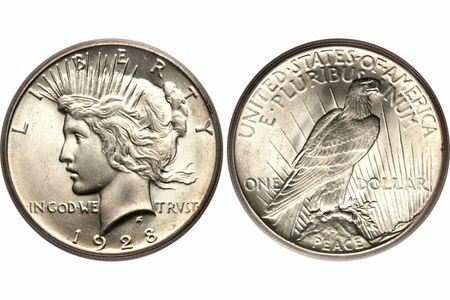 The Peace Dollar is also a United States Issued Silver Dollar, but was Minted from 1921 to 1935. These dollars are 90% silver and each coin has 0.77344 oz of pure silver. These coins are United States currency with a face value of $1. What is considered silver bullion? Silver bullion can be in the form of silver bars, coins, ingots, or rounds all with different shapes and sizes. The most commonly known examples are the American Silver Eagle and the Canadian Silver Maple Leaf. These coins all have a low premium over their precious metal content. 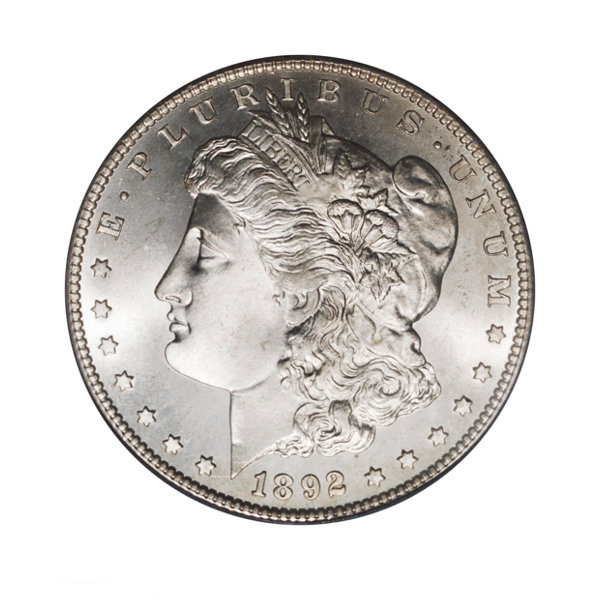 What are the advantages of buying Morgan and Peace Silver Dollars instead of Silver Bullion? Morgan and Peace Dollars will never be minted again, so there are a set number of coins in circulation. This means the values of the coins not only adjust in correlation to spot silver, but can also reflect a numismatic value. There are low premium coins, such as our cull dollars, and coins that are much rarer in condition and offer more eye appeal, found in our BU (brilliant uncirculated) dollars. This acts as a natural hedge when the silver market shows larger fluctuations. On the other hand, Silver Bullion has a very low numismatic value, if any at all. Its premium also remains close to spot silver. That may initially appear attractive as it gives the illusion of being more affordable, but it means that it is very volatile. With being tied so closely to spot silver, any major fluctuation in the silver market can drastically impact the value. 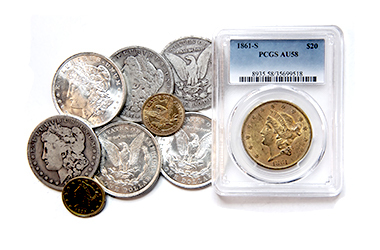 When the time comes to sell back or trade in these coins, they are often purchased close to or just under melt. 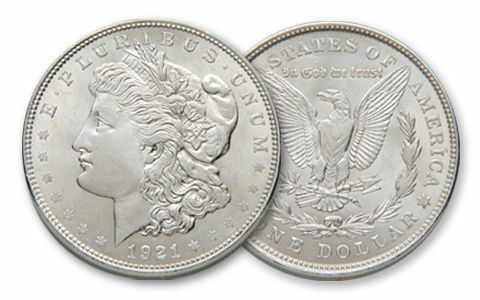 With the exception, the 1934 and 1935 mintage years, all Silver Morgan and Peace dollars are protected against the April 5th 1933 Confiscation Act, which states that any coins purchased post 1933 can be confiscated by the US government at any time. Silver bullion however, is modern issued and not protected. A majority of Silver Bullion is not US Mint issued. As opposed to US minted silver coinage, silver bullion may have tax requirements that the purchaser would be responsible for paying. 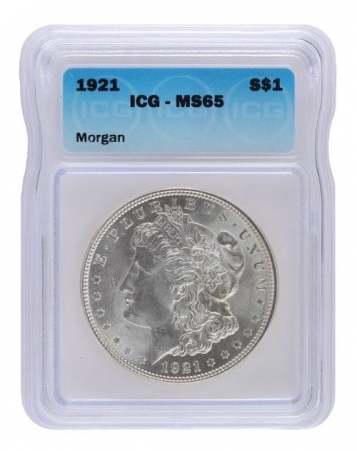 Morgan and Peace dollars are one of the most recognizable and visually appealing coins of all time. Almost every coin has been minted nearly 100 years ago in Philadelphia, Denver, Carson City, New Orleans, and San Francisco mints. Every coin represents a small piece of history and shares a tiny glimpse of the past. With exception of the American Silver Eagle, there are many different bullion bars, coins, rounds and other poured silver on the market that are not easily recognized. I find it best to stick to silver products that are easily recognized that have also been around for many years rather than a new and untried silver product. Conclusively, we prefer and recommend Morgan and Peace Dollars when purchasing silver rather than silver bullion. 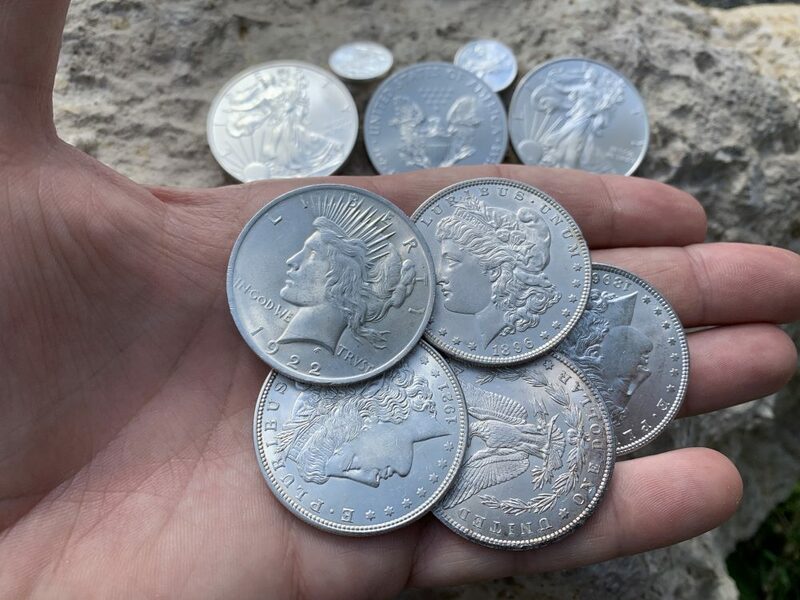 They are highly recognizable, have been around for over 100 years, and have a value reflected not only by spot silver, but also the carry a numismatic value that serves as a natural hedge against major fluctuations in the silver market. With a majority being minted prior to 1933 by the United States Mint, they are protected by the April 5th 1933 Confiscation Act and are not a taxable item. We invite you to take a look at our Morgan and Peace dollar inventory which is conveniently categorized by type: Peace Dollars, 1921 Silver Morgan Dollars, and Pre-1921 Morgan Dollars. We carry an inventory of Morgan Dollars from CU to BU condition and also offer an extensive selection of Certified, better-date Morgan Dollars. 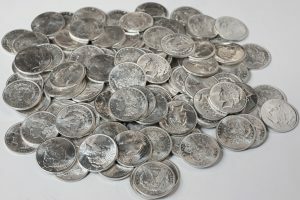 Whatever you are looking for in Silver Dollars, we can likely find it for you at a competitive price. You make some good points here, however, it would have to be a really quirky situation for the government to come after the ’34 and ’35 coins. I can just picture the government agents going through a pile of silver dollars looking at each date, and checking them off on the inevitable triplicate form! Also, good luck getting past the front door. Getting peoples’ gold and silver would be about as easy as collecting peoples’ guns. Just making the point that there are still some laws out there on the books that would be hard to enforce. I agree but disagree on this topic. The coin shops I visit have a $3 to $5 premium over spot on Silver Eagles. ( For common date AU to BU). If silver bars is what your after, the bigger the bar the smaller the premium. I would rather get more bang for my buck by not doing neither. Do you want to buy it for the silver investment or numismatic value ? If your buying it more for silver investment , I would recommend silver half dollars. It’s hard to find someone to pay you a premium when you go to cash in your silver. They usually go by weight an you lose your numismatic value right away. I know a lot of shops have to cover their overhead and are free to mark up their coins however much they want. Our goal is to grow our customer base by being an honest, fair, and straight forward coin dealer that has no shop to keep its cost down. As for the Half Dollars that is not a bad coin to collect either. What I see with %90 halves is that they are a little more desirable and do sometimes command a premium over regular quarters and dimes %90 because they are a little easier to handle and cash in. Thanks for the comments and we look forward to doing business together in the future. I just want to say I am newbie to blogs and really savored you’re blog. Likely I’m likely to bookmark your site . You actually have excellent writings. Thanks for sharing your web site.